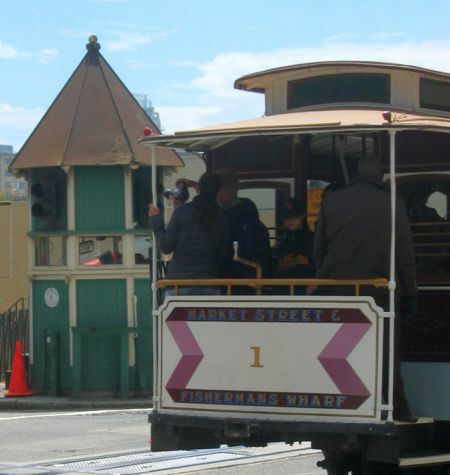 This page features landmarks within the city of San Francisco from the city's Railroad past. 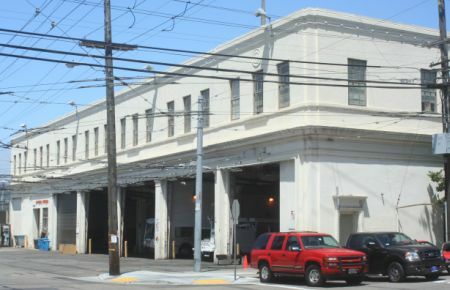 Bechtel Private Car - "WaaTeeKaa"
Southern Pacific Ferry "Santa Rosa"
Western Pacific Tug Boat "Hercules"
Former Roundhouse, Sandhouse, and Office building of the State Belt Railroad now converted into a multi-use office building. Built 1918. Photo 1991, note SBRR yard tracks are in place, now removed. Railroad barge slip used by the State Belt. Railroad tunnel used by the SBRR to access Fort Mason and the Persideo. 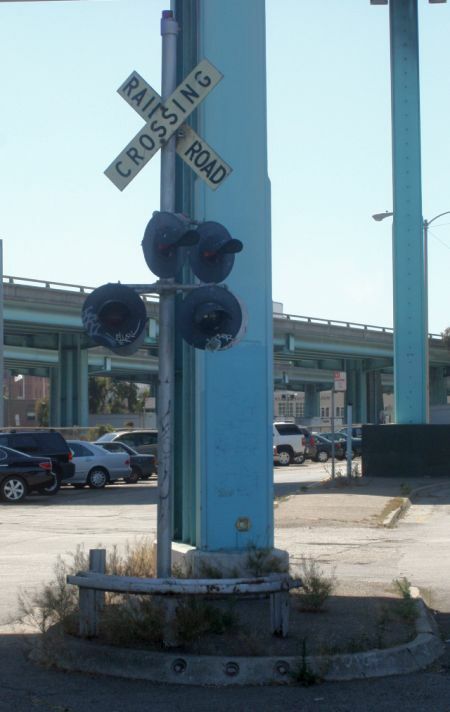 Held for future street car extension use. 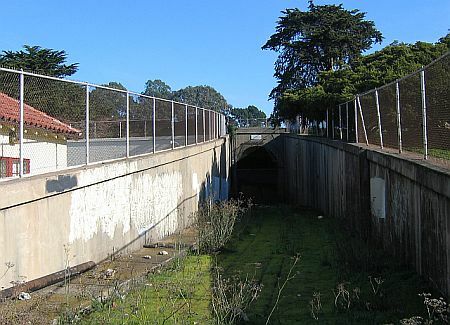 Tunnel was also featured in the "Dirty Harry" movie. 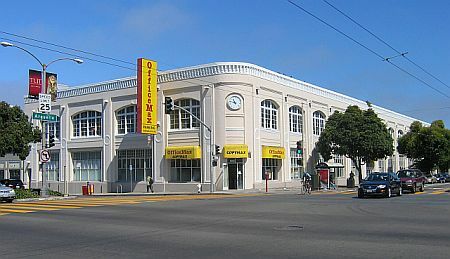 Headquarters building for the Southern Pacific Railroad. Built 1916. Vacated 1998, after the 1996 merger with the UPRR. 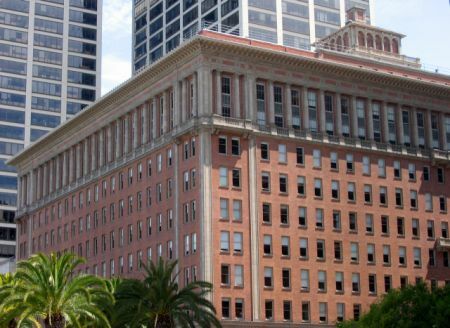 Converted into an office building. Hospital building for the Southern Pacific Railroad. 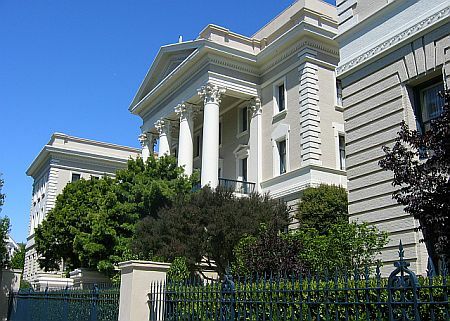 Built 1908. Closed 1968. Photo 2009. Also used in the move D.O.A. Former car barn for the GSP&O RR. 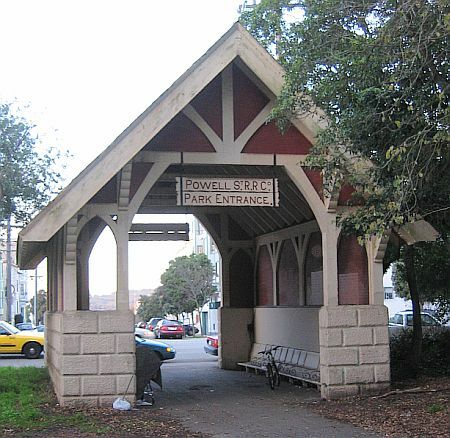 Golden Gate Park station for the Powell Street Railroad. Built 1889. 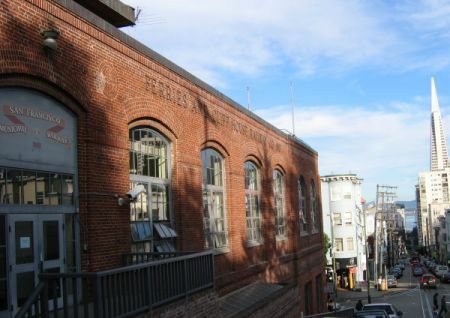 Cable Car Museum, Card Barn and Power House for the three operating lines. Built 1887. Link to the Museum. Info on the F&CHRR. Cable Car control for the crossing of the two cable lines. More INFO. 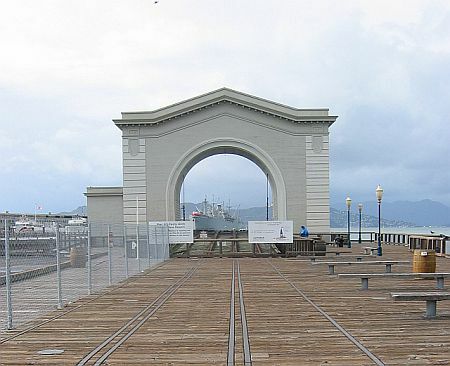 Pier for rail barge used by the Santa Fe Railway. No longer in use. 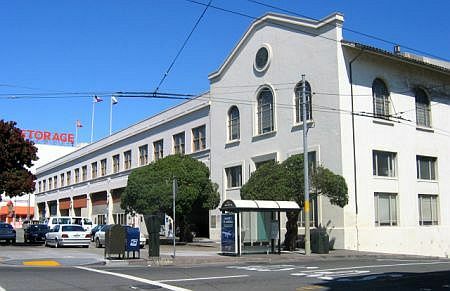 Market Street Railway sub station. 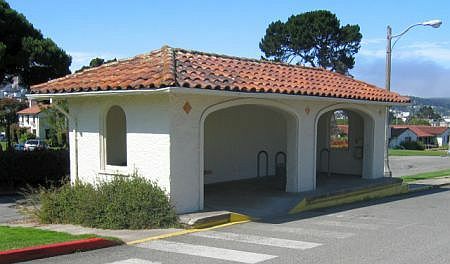 MUNI Former Car Barn. Bus yard and office, photo 2009. Car Barn main building, built 1901. 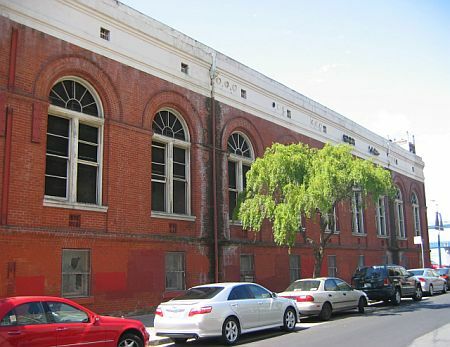 Brick carbarn used to be located behind but was closed and demolished after earthquake damage. Car Barn formerly used by streetcars, now used for trolley buses. Old streetcar shelter used to be serviced by the now gone H-Line. 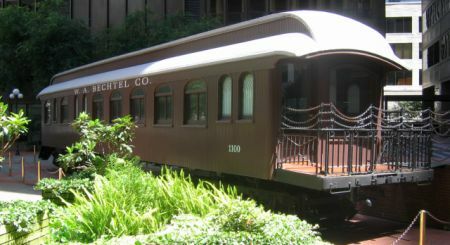 Representation of the private car used by the Bechtel family in the 1920s on large construction jobs. Restored "WaaTeeKaa" is a former C.St.P.M.&O. car and now houses the Bechtel Museum. 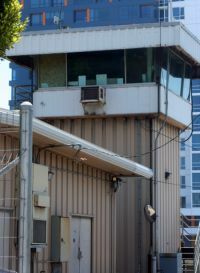 Former SP Railroad commute yard operations tower. One of the few towers in the state still in use. 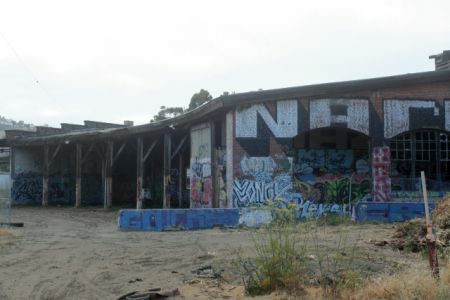 One of the few remaining brick roundhouses in the state of California. 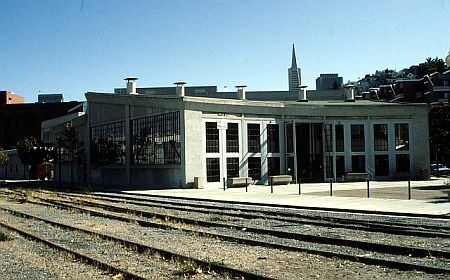 San Francisco's own Roundhouse (Mission Bay) was torn down in the early 1960s. Bayshore Roundhouse suffered a severe fire in 2001. Ferry Santa Rosa, built 1927. 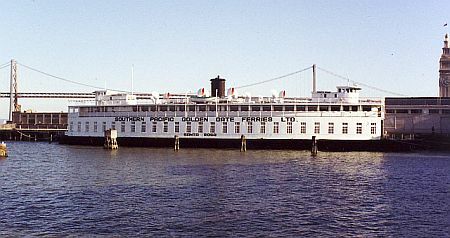 The last intact wooden-hulled sidewheel steamer afloat in the continental U.S., Eureka is significant as an example of a type of steamer that led U.S. inland waterborne commerce into the industrial era. Constructed in 1907, Hercules broke many towing records, beginning with her maiden voyage through the Straits of Magellan towing her sister ship.